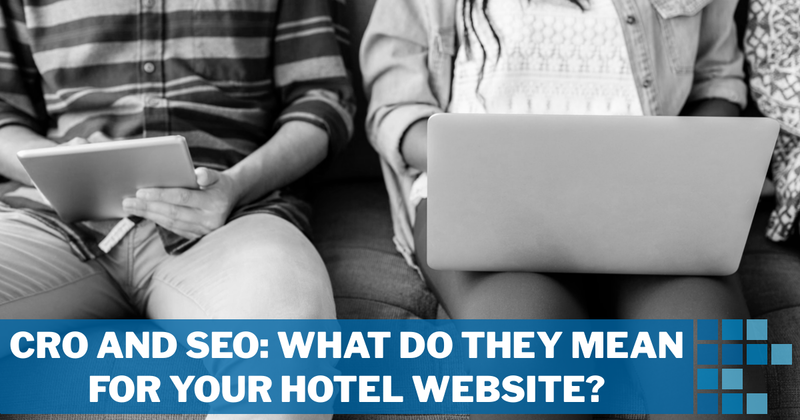 CRO and SEO: What Do They Mean For Your Hotel Website? Conversion rate optimization and search engine optimization, or CRO and SEO, are probably terms you’ve at least come across in discussions and reading around your hotel’s marketing strategy and online presence. But do you know what they really mean? And do you know if anyone is ‘doing them’ for your boutique or independent hotel website? While CRO and SEO certainly aren’t new concepts, as with everything in the digital space, they are constantly evolving. Best practices change as user expectations adapt to advancements in technology, or as search engines update their algorithms and rules of engagement. And, as confirmed by the best of the best at Call to Action Conference 2017, the connection between these two methodologies is only going to continue to strengthen. What they mean for your hotel website. What Are CRO and SEO? In any industry, it’s easy to drown in a sea of acronyms. Between ADR, RevPAR, OTAs and a whole stack of other letters, the hotel industry has its fair share of jargon. Throw in all the marketing speak and you have an alphabet’s worth of terms that make it challenging to know your CMS from your CTR, or your PPC from your CPC. As a hotelier, you understand the concept of conversion – turning everyday people into paying guests at your property. Not surprisingly then, conversation rate optimization involves the steps taken to increase the number of people completing a desired action (converting). Associated with websites and online activities, CRO brings together web design and development, user experience, copywriting, testing and data analysis to improve the rate of searchers or readers who take action. In the hotel industry, that action is typically to make a booking on your website, but CRO isn’t just about earning more stays. It may also include purchasing a treatment via the hotel’s spa page, signing up for the hotel newsletter, leaving a guest review on your Facebook page, or any other goal or action that you want guests – present or otherwise – to take. The definition from Moz above succinctly sums up what SEO is all about. While some marketers today include paid practices in their SEO efforts, given Google’s increased prioritizing of displaying paid search results, hotel SEO is essentially about getting more traffic to your hotel’s website by making it more visible to searchers – that is, having it display higher up in search engine results pages (SERPs). SEO involves a combination of on-site and off-site techniques including everything from formatting your hotel blog content correctly and optimizing page load speeds, to building backlinks to your site and attracting shares of your content from reputable sources. Efforts made in the name of SEO are done so to appease Google ranking factors, however the importance and impact of these ranking factors are constantly changing as Google updates its algorithms to better serve searchers. How Are CRO and SEO Related? While CRO and SEO are separate areas of marketing, the ties that bind the practices together are constantly tightening. At the Call to Action Conference 2017, Wil Reynolds and Rand Fishkin both discussed this topic in their presentations; SEO Gentrification: Breaking the Silo Between CRO and SEO to Make BIG Wins (video available here) and Why We Can’t Do SEO Without CRO (video available here) respectively. In their Trends 2016 report, Profitroom went one step further, stating that CRO is replacing SEO. 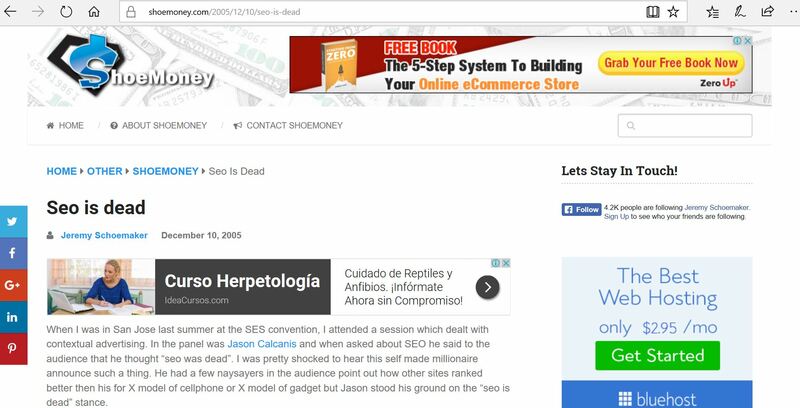 And, while I don’t agree with that statement (how many years has SEO been dead for now? ), I believe the report makes valuable observations regarding how data and user behaviour analysis are essential to making informed decisions on advertising spend and website design. How long has SEO been dead for now? Regardless of where you stand in terms of CRO replacing SEO, there’s no arguing the two are intertwined and that you should approach both with the mindset that one will impact the other. Quality SEO will bring more traffic to your site and, if you’ve been effective in your CRO efforts, then your site will convert more of that traffic. Since those users remain on your site and don’t head back to their search results to continue looking for what they want, Google considers your content valuable. This is an additional win for SEO, as your page is viewed favourably – because it fulfills searchers’ requests – and this will contribute to higher positioning in SERPs. My biggest takeaway from both presentations at the CTA Conference, and something that may not be obvious in the definitions earlier, is that users are the most important factor to consider in both CRO and SEO. Stop focusing on what you want, be it more bookings through your website or your homepage ranking first in Google, and start prioritizing the needs and wants of the searchers you are trying to attract and convert. You need to put customers before conversions. This means taking time to understand people. As Wil explained, people are more than buyer personsas, and their searches are more than keywords. When users search for something, they are looking for solutions to their problems. Understand the why of the person, the reasoning behind the search rather than the keywords they’re using, and do all that you can on your website to ensure you are providing those solutions. Put customers before conversions. Consider the problems searchers have and how you can solve them. Consider this example; a searcher eventually arrives at your hotel’s website by entering the search query ’boutique hotel singapore’. He doesn’t just want to stay somewhere in Singapore, he wants a memorable, unique experience that will totally sweep his wife off her feet as they celebrate their first wedding anniversary. Perhaps it was an enticing meta description that brought the user to you. Is your site now doing everything it can to demonstrate that a stay at your hotel is not only a bed and continental breakfast, but a custom visit, tailored to your guests’ individual needs? Does the layout, design and content of the website communicate quality and a professional team who will take care of anything? Or is the messaging lost in a bad user experience? Searcher task accomplishment, or solving the demands of the user, should be your primary focus. The SEO landscape is changing and, to Google, solving searchers’ queries is the ultimate metric of success. As search engines become better at understanding people and incorporating human engagement signals within their algorithms, it is simply not enough to craft content and structure sites for search engines. You need to satisfy searchers’ needs, in the easiest way possible. What Does This Mean For Your Hotel Website? So, what does this all mean for your website and hotel marketing strategy? What actions can you do to improve your efforts in CRO and SEO? While I’ll discuss some approaches you may not have considered, it is important to remember that the ‘traditional’ CRO and SEO methodologies still play a key role in the success of your site. Users and search engines may be evolving but best practices, such as using on-page SEO techniques, and providing an excellent user experience certainly have their place in your digital strategy. As I mentioned earlier, it all comes back to the user. Providing excellent content that solves searchers’ problems should lead your CRO and SEO approach. But how do you know what content to produce? Use signals from search engines. When you enter a specific keyword into Google, what is it predicting you are looking for? What suggestions are featured in ‘People Also Ask’ and ‘Related Searches’? And what topics are your competition (i.e. those pages currently ranking highly) covering? Curate your findings to understand searcher expectations. 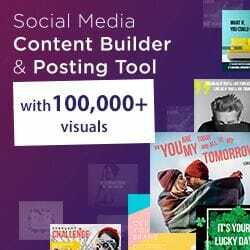 When you analyze search engine results, search trend data and even keyword research tools, you form a picture of the complete journey that users go on to solve their problems, and this gives you direction for the content to create. Create content for each step in the journey. Provide content that matches each step in a searcher’s journey to solve their problem. Keep users on your site with clear, reader-friendly layouts and features that make accessing the next piece of content in their journey easy. In addition to interpreting search engine data, it is also valuable to physically listen to your website visitors. Conduct surveys and tests to understand if your content is providing value in a user-friendly way. Depending on how you conduct your usability tests, and who you survey, you can gain insight into whether users are finding the information they need, if they are being provided everything to complete specific actions, or how easy it is to complete those actions. 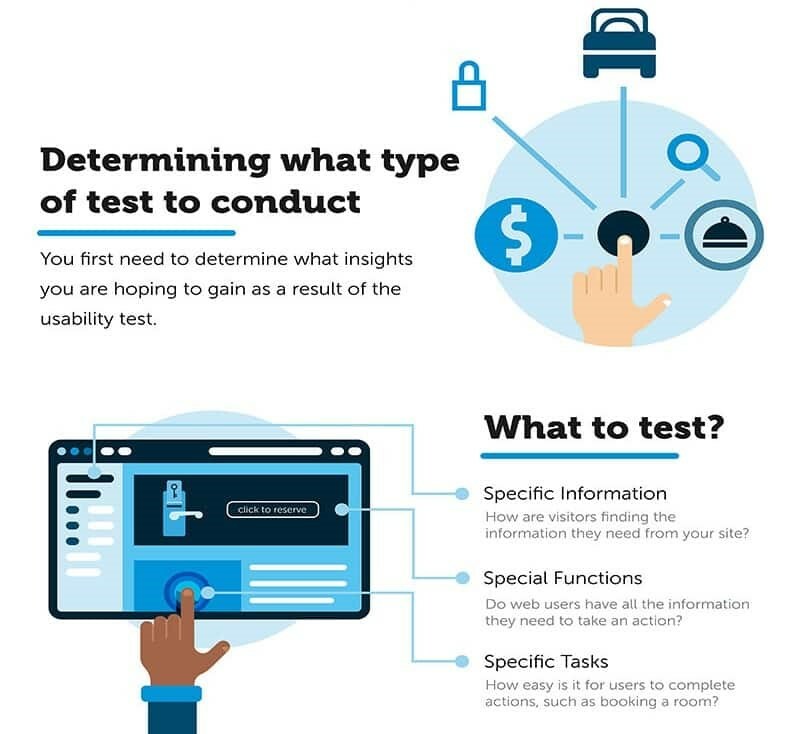 Travel Tripper created this infographic detailing the ins and outs of usability testing. While there are varying uses for this analysis tool, heat maps are often used to measure the clicks or attention (time) given to specific areas of a web page. This can provide invaluable direction when revising the design of your pages. Perhaps the data reveals that users are starting the booking process simply to find out if you have availability, or they are never proceeding to the checkout because the final confirmation button is being overshadowed by other buttons or pop-ups on a page. With this type of data you can make more informed decisions on how to revise the layout and information on your site. If an Online Travel Agency (OTA) can have a user book a hotel in four clicks, can your website do it in three? 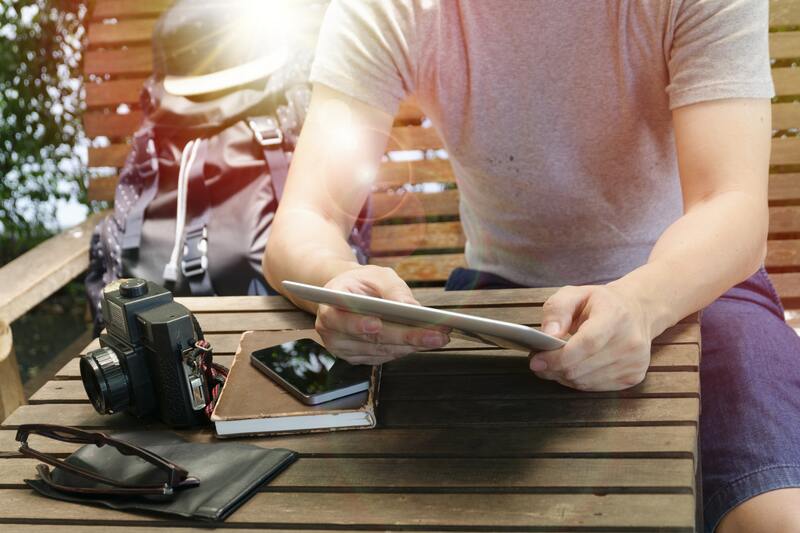 According to a Google study, 52% of travelers visit your hotel website after seeing you on an OTA. Are you doing everything to make booking on your site as easy and appealing as possible? This includes featuring the booking button prominently, reducing the number of steps and distractions when moving through the booking process, and reassuring consumers that their data is safe – by showing them you take hotel website security seriously and use HTTPS. Consumers value the opinions of others, with 77% of customers reading reviews before making online purchases, according to a Forrester and Juniper Research study. Provide easy access to those reviews by posting testimonials on your site, and include other social proof signals such as TripAdvisor award badges and evidence of the number of bookings taken over a past period (just as the OTAs do). These features let searchers know that others have booked at your hotel previously. And, while it is easy to assume readers know others have made booking, a study by the Washington Post found providing positive social proof is more influential than promise of saving money. Provide Personalization With Custom Content and Ad Targeting. In today’s digital space, you are competing with short-attention spans and the endless amount of content that is generated each minute. Personalization – engaging with a consumer when they mention your brand or search for selected, key campaign terms – helps you to break through the noise and offer specific content to those who have shown interest in staying in your region or at your hotel specifically. Whether you are implementing tracking and pixels to deliver targeted ads on social media and search engines, or using your PMS data to send segmented email campaigns, data-driven personalization helps you to deliver relevant content to those who are ready to receive it – while boosting the efficiency of you ad spend. What’s more, you can lay any concerns of ‘big brother’ activity to rest. Adlucent found 71% of consumers prefer personalized ads, while 86% of respondents surveyed by OneSpot claim they are more interested in a brand’s product and services if that brand does a good job of providing personally relevant content. Providing personalized content puts you in front of the right audience at the right time. Testing is an important aspect of conversion rate optimization. If you’ve gone to the effort of collecting data to help you decide which changes to make, it makes sense to test whether those changes will actually increase conversions. By applying a systematic approach, you are able to determine the effectiveness of specific changes made to your website. Split, or A/B testing is the approach CROs take to study the effectiveness of the elements of website – be they a change in placement, copy, headlines, images or colours – in encouraging users to take action (convert). For accuracy, it is critical that each test should only look at changes made to a single element of your site. And, while that may sound arduous, the results can be worth it. There are a number of benefits to conducting A/B tests, including reduced bounce rates, increased conversion rates and more sales. Through testing, The Vineyard decided to reposition their CTA and switch a text link for a button. The result? An increased click-through rate of 32%. eMarketer predicts that by 2019, 69.8% of digital travel bookings will be made on a mobile device. So, before you invest more in generating extra traffic to your site, be sure to test how your site loads and displays on mobile and do what you can to convert the traffic that already exists. Pop-ups and overlays are not mobile-user friendly, and unresponsive designs will make it challenging for visitors to view the content you’ve so carefully crafted to help solve their problems. And, don’t forget, search engines prioritize listing for hotels with mobile-friendly websites – meaning this testing is critical for both CRO and SEO. Whether you are well-experienced in the CRO and SEO game, or just starting out, there’s always room to improve. In the rapidly changing digital space, where key players evolve their technology as quickly as consumers change their preferences, it is important to employ the best practices that make sense for your hotel website – while always keeping the end user in mind. Want to discuss the topics covered in this post and how they can fit into the greater marketing of your boutique hotel? Contact us today.